Notification No. SO (SE-REC) 2-85/2017(P-III) dated Lahore the 18th January 2019 regarding Supreme Court cases on recruitment against 3% disabled quota by school education department Punjab. It is submitted to the Director of Public Instructions (SE/EE) Punjab Lahore and All Chief Executive Officers DEAs Punjab. 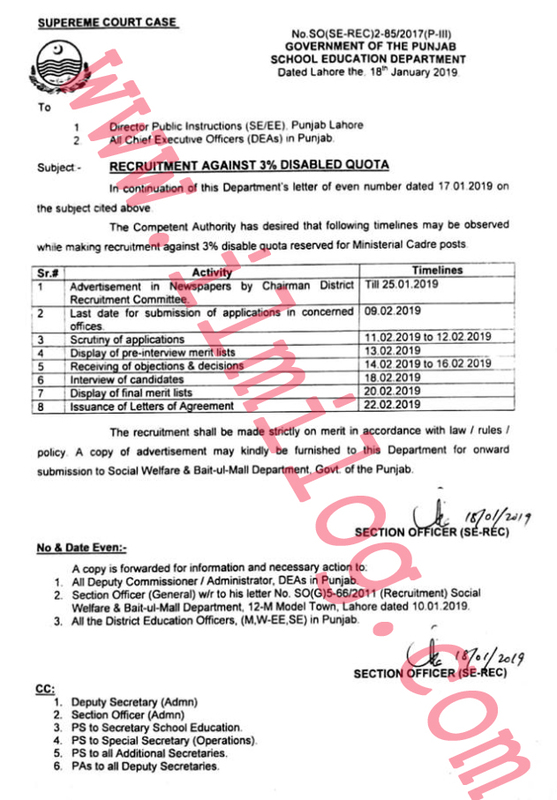 Subject - RECRUITMENT AGAINST 3% DISABLED QUOTA. 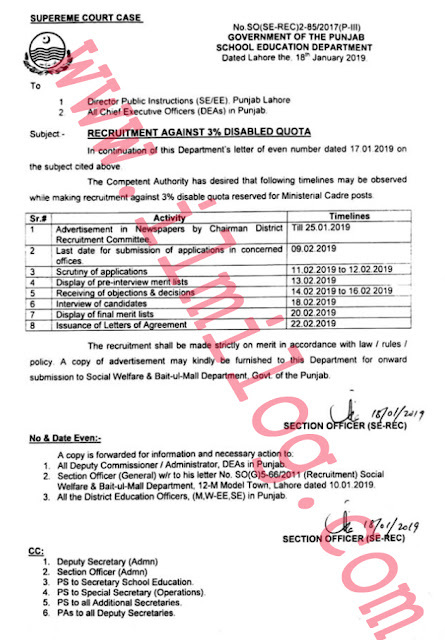 In continuation of this Department letter of even number dated 17 01 2019 on the subject above The Competent Authority has desired that following timelines may be observed for making recruitment against 396 disable quota reserved for Ministerial Cadre posts. The recruitment shall be made strictly on merit in accordance with law/rules/ policy. A copy of advertisement may kindly be furnished to this Department for onward submission to Social Welfare Bait-ulu-Mall Department. Govt. of Punjab. 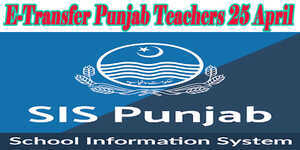 1 All Deputy Commissioner / Administrator, DEAs in Punjab. Section Officer (General) w/r to his letter no. SO (6)5-66/2011 (Recruitment) Social Welfare & Bait-ulu-Mall Department. 12-M Model Town. Lahore dated 10.01 2019. 3. All the District Education Officers. (M.W-EE, SE) in Punjab. 1. Deputy Secretary (Adm.) 2. Section Officer (Admin) 3. PS to Secretary Sch. Education 4. PS to Special Secretary (Operations) 5. PS to all Additional Secretaries. 6 PAS to all Deputy Secretaries.